UFO SIGHTINGS DAILY: UFO Creates Spiral Contrail Over Moorpark CA, USA, Video, October 7, 2018 UFO Sighting News. UFO Creates Spiral Contrail Over Moorpark CA, USA, Video, October 7, 2018 UFO Sighting News. 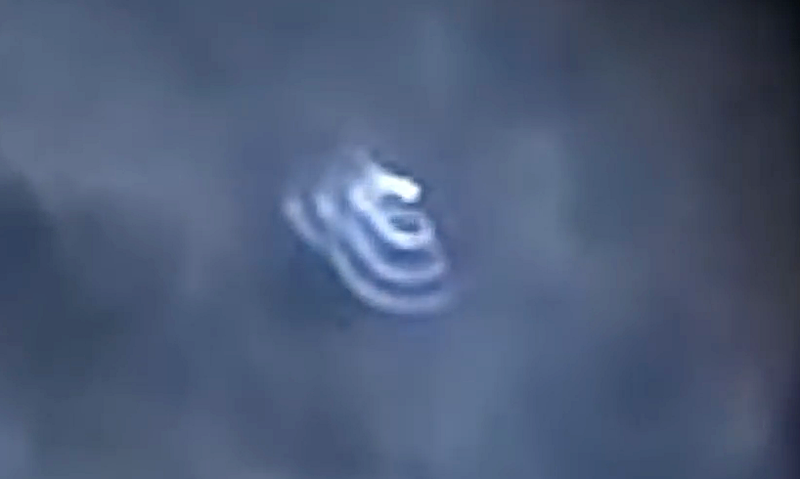 Here is a very strange UFO as it creates spirals of smoky trail behind it. The trails start high up, not from the ground so we know its not a rocket. This UFO is hard to see at the tip of the trail, but the trail sure makes it obvious that its there. Wow! I would have loved to see that one in person. I was walking up the street with my dogs when I felt my head want to turn left. I looked up and saw 2 bright lights of different sizes facing each other. White cloud looking objects around them and various colors of pink and green below. The biggest bright light was moving backward, and the smaller light was opening and closing. It was extremely bright. A couple people stopped their car to look as well. My dogs were pulling at me and another woman walking her dogs was trying to manhandle her dogs who were acting up- all while we stared into the sky. None of us said anything to each other, which I thought later was strange. The brightest light did not waver, just kept moving backward- but the smaller light that would open and close started to fade along with the colors and not-clouds. Then, I saw a bright orange ball what looked to be the size of a basketball (to my eye) drop out of where the smaller light had been and start to drop to the ground. I ran up to try and see where it went but, I missed it. I did not hear any sound during the event, but one of my videos recorded a super strange sound. I have photos and video, which really does not show how bright and intense it was. I felt like I had to watch this, but then started to feel frightened, so I went inside after the orange ball dropped.